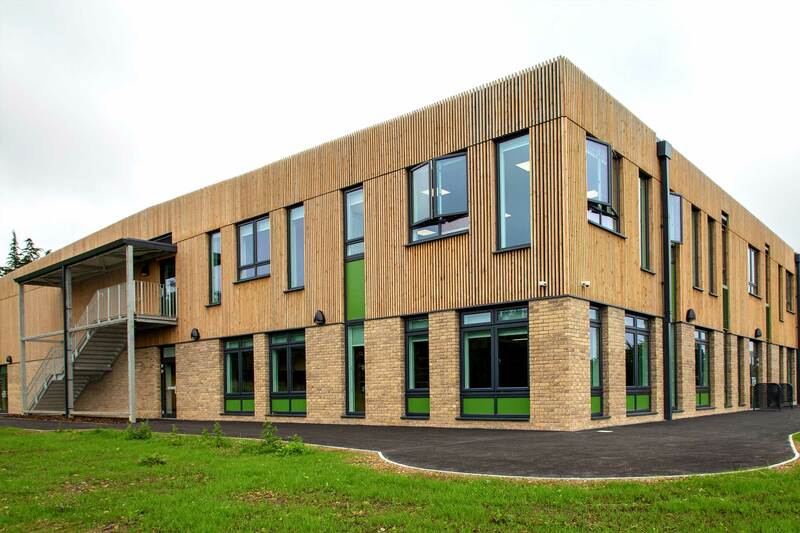 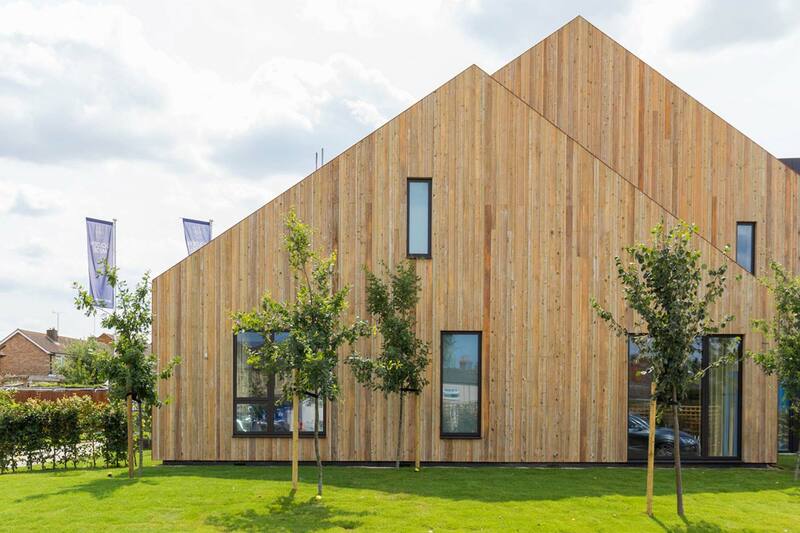 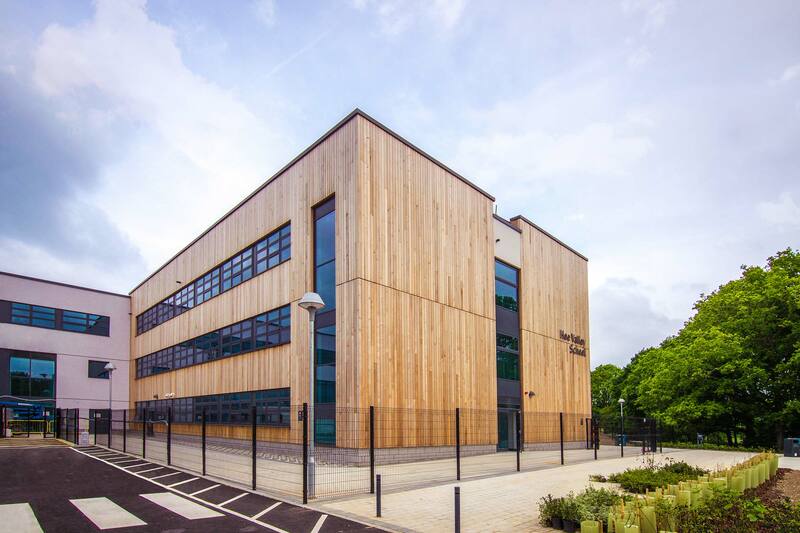 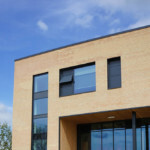 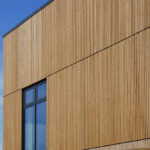 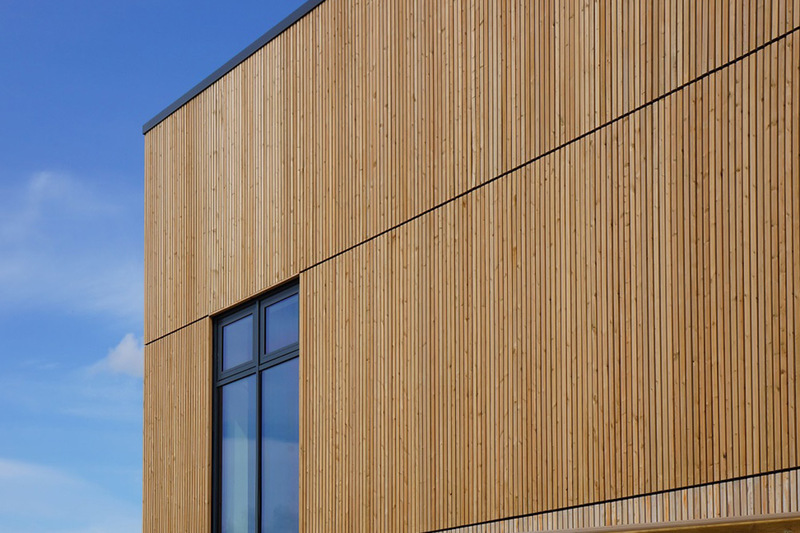 Working closely with the Architects initially, a specification was created utilising a PEFC-certified NORclad® European Redwood. 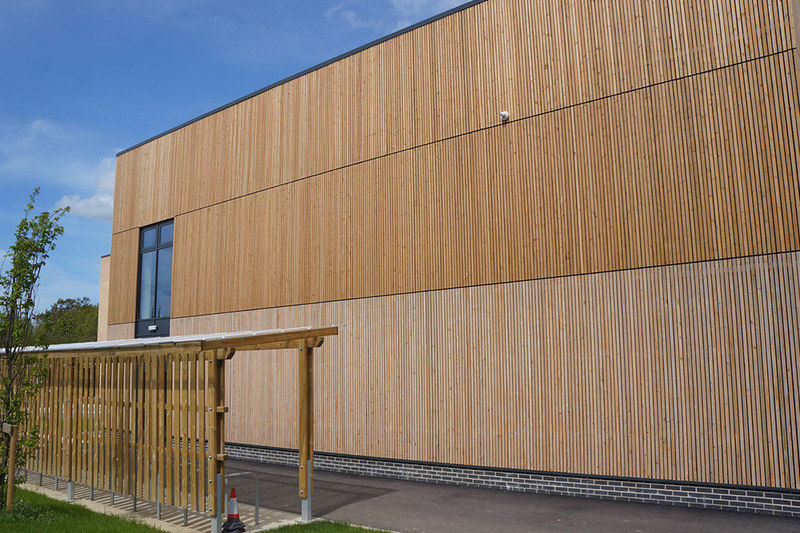 Koppers MicroShades “Brunnea” treatment was requested to offer a formal warranty on the product for 30 years against rot and fungal decay (out of ground contact), along with a good level of colour stability VS traditional untreated species. 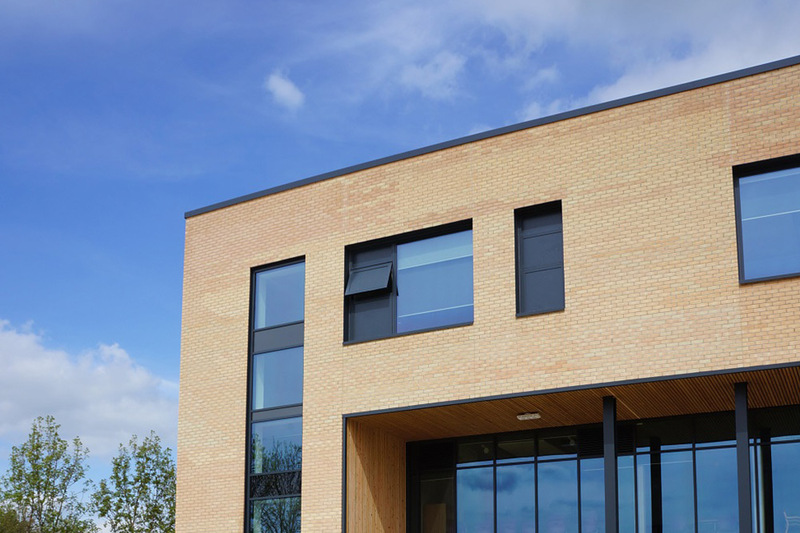 Over 19,000/LM was supplied in a square edge 20 x 45mm profile with almost a fifth of the product being fire treated. 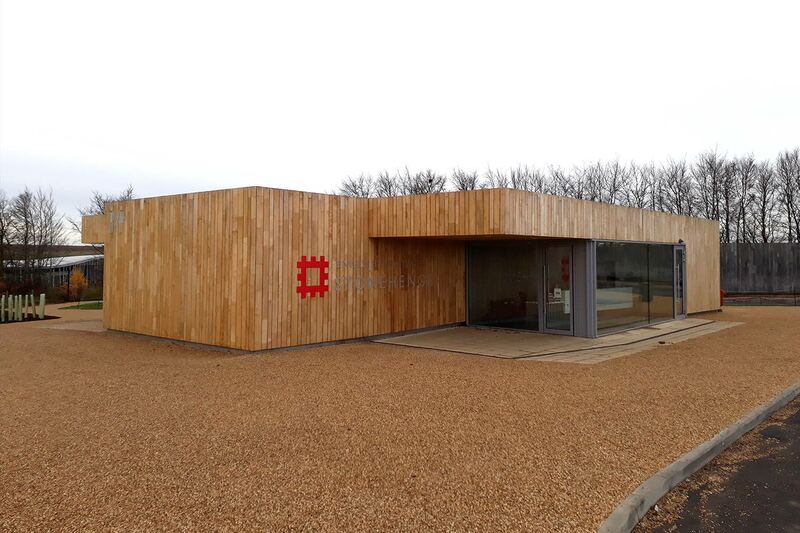 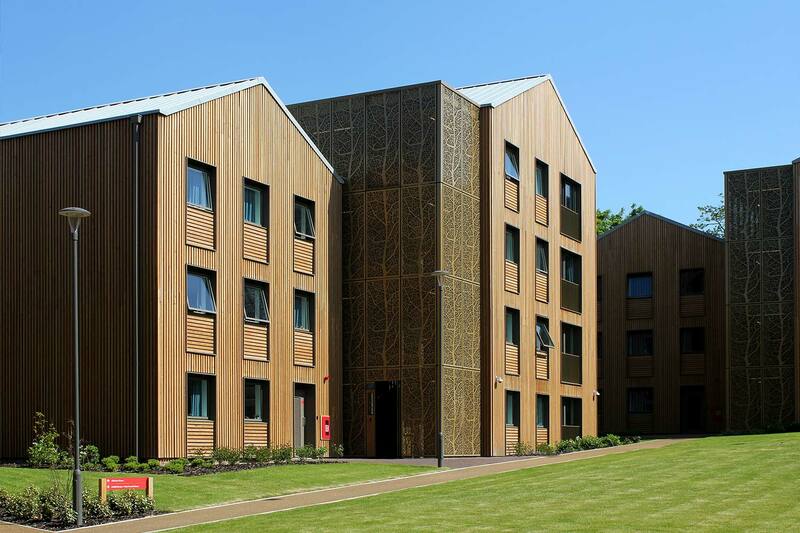 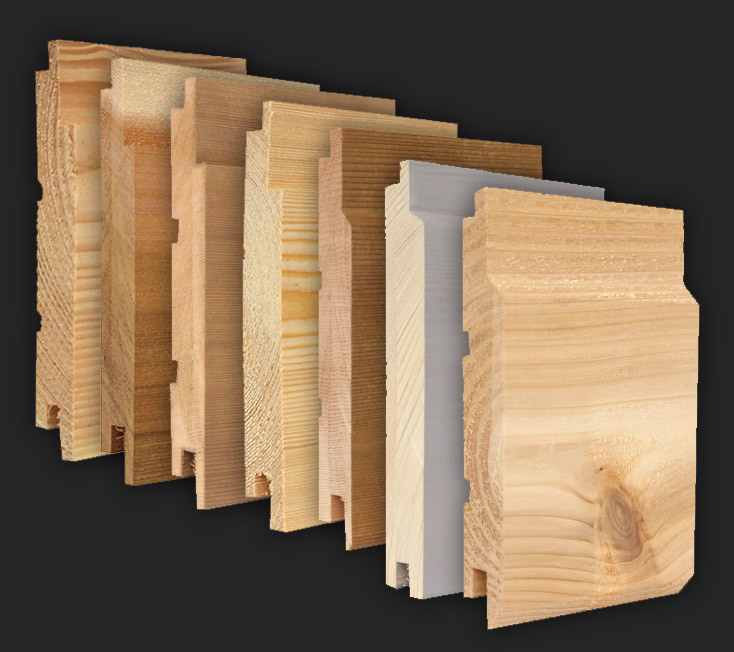 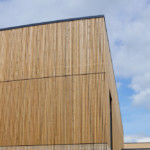 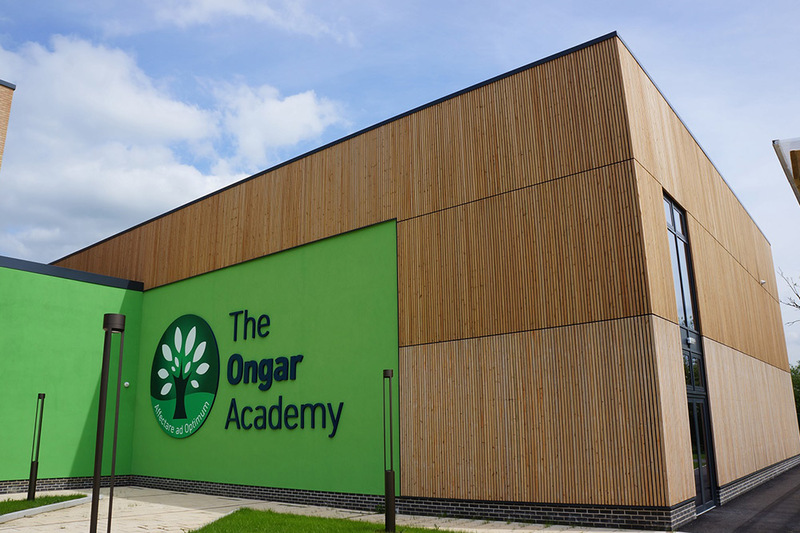 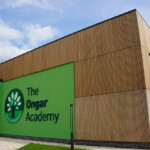 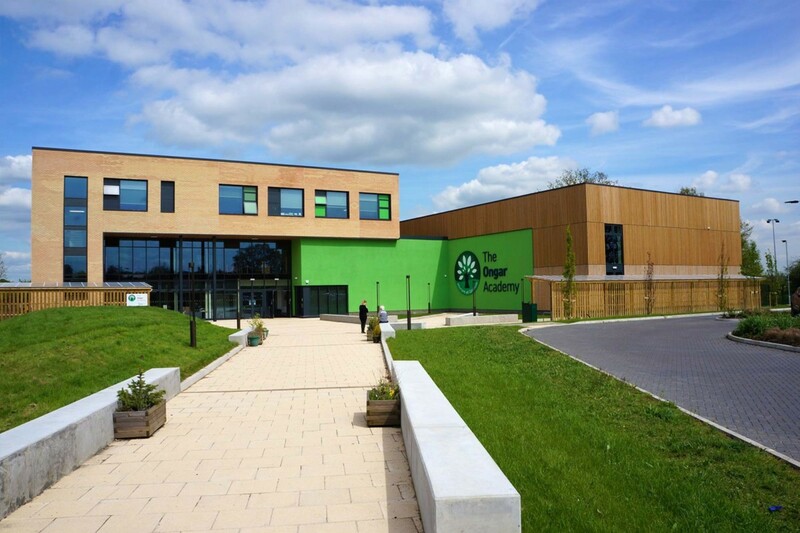 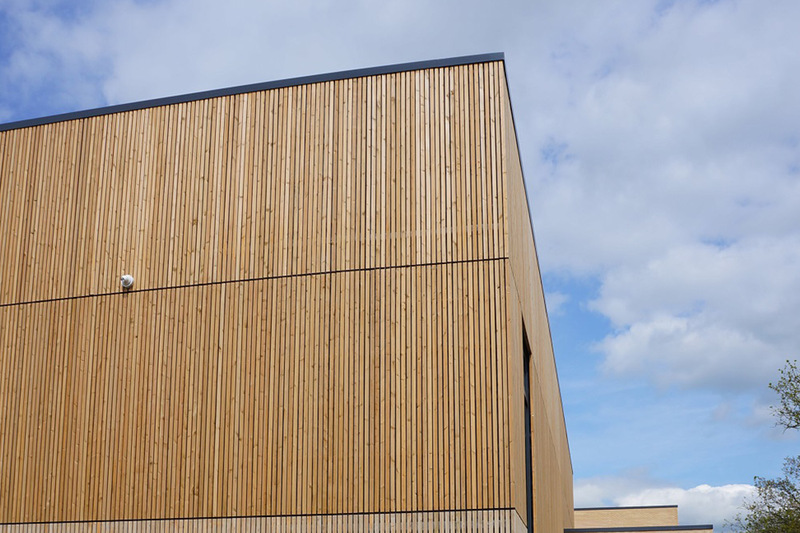 As the specification developed the requirement for some of the timbers at ground level to be Fire treated to Euroclass B-s1-d0 (s1 Smoke Production – d0 Flaming Droplets), a system fully compatible with the Koppers MicroShades “Brunnea” treated cladding. 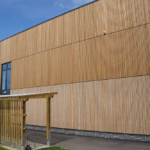 From the images the variation between fire rated (lower board) and non-fire rated boards can be seen.